Banks' drive into digital is opening up careers in areas such as payments, as business schools report demand for digital skills among financial services recruiters. The digital revolution in financial services like payments is opening up more channels for postgraduate employment, as big banks embrace innovation. As they face stiff competition from digital payments providers like Apple Pay and PayPal, banks are turning to mobile, video and even social media. Barclays, American Express and HSBC have all bolstered their recruitment in digital banking. Digital has eroded some roles in retail and investment banking but opportunities are increasing for senior managers to guide traditional lenders into the internet age. American Express, a payments leader, plans to hire 250 MBAs in 2015 alone, according to a company recruiter. The US-based financial services group has 63,000 employees and although recently announcing more job cuts it wants to recruit more business students to drive its “digital transformation”. Barclaycard, the payments business of the British bank, has been targeting MBA graduates to hire as digital project managers. Its full-time employee headcount increased from less than 10,000 in 2010 to 11,000 in 2012, according to the most recent figures published in its annual reports. Barclays was the first UK bank to introduce video services for private clients and this will be rolled out to mortgage, business and wealth customers throughout 2015. “We are combining our dedicated staff with digital technology,” said Steven Cooper, Barclays’ chief executive for personal banking. Digital is becoming the channel of choice for consumers, with the number of transactions carried out on mobile applications in the UK doubling in 2013, according to the British Bankers’ Association. More than £4 billion in payments and transfers were made through Barclays’ mobile apps month during July and August last year. Barclays is also launching a new service that allows people to transact with individuals and small businesses through Twitter, by using the Pingit payments app. Darren Foulds, director of mobile banking at Barclays, said using a social and digital experience will create a “new step forward for mobile payments in the UK”. It is not just the UK experiencing growth in this area. “Credit card and consumer banking departments are experiencing increased demand for digital technology skills,” said Gil Yancey, executive director of careers at GWU School of Business in the US. He added that increased regulatory requirements and cost efficiency are driving a demand for MBA students in particular who can combine business knowledge with digital skills. Lenders have come under pressure to provide digital services as an alternative platform to customers, as banks implement widespread branch closures. They also face competition from smaller companies that use technology to provide a range of financial services. For example, Nutmeg, the UK’s first online discretionary wealth manager, recently raised $32 million in venture capital funding. Nutmeg’s CEO and founder Nick Hungerford, a Stanford GSB MBA graduate, said that he is able to offer portfolio management at a lower cost. “We believe our digital model epitomises the future of investment management,” he said. Nicholas Evans, a partner at executive search firm CTPartners in Singapore, said recently that all consumer banks in Asia are now hiring aggressively. He said that chief digital officers at banks in Asia doubled last year compared with 2013. “It’s now about creating new digital customer interactions and products that drive out analogue processes, reduce back-office costs and let banks expand into new Asian markets without huge branch networks,” he added. 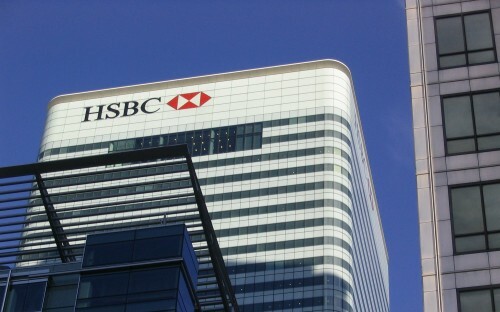 HSBC’s digital unit recruits for its marketing team, its digital banking team, which covers online and mobile and whose employees also develop strategy, as well as analysts. Technology was historically seen as a cost on the business of banking but that has now changed significantly, according to Paul Schoonenberg, head of MBA careers at Aston Business School. “With the rise in digital banking, skills in this area are enormously valuable,” he said. A recent survey by professional services firm KPMG of 100 banks’ CEOs found that 27% of the bank executives said they plan to make “significant” investments in IT related to mobile banking, while 16% plan to leverage big data. “This is clearly an untapped opportunity for this sector,” said John Depman, leader for KPMG’s national banking practice. He added that it was critical for banks to change their focus and to look for new methods, products and services to reach new customers and to drive growth. Digital skills are in demand from recruiters across industries, and this requires more specialist training, according to Adila Khan, career advisor for finance at Oxford’s Saïd Business School. Tony Somers, director of the Career Management Center at HEC Paris, the French business school, said that smaller financial services companies that utilize technology are also hiring more. Piotr Danisewicz, a developmental lecturer in finance at Lancaster SOM, said that tech will continue to play an important role in communication between banks and customers. “This area should continue to grow as many functions formerly done in person will be done via phone apps,” added Gil at GWU.